Got this from Litt Tak last week together with the other blue Calsonic Impul Z. 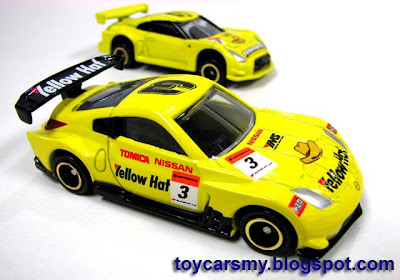 This isn't new but just interesting to put together with 2008 Yellow Hat Skyline GTR version. Wider body and solid metal Wing. More decals printed on body, with additional supplied stickers. More expensive than regular, RM16.90. 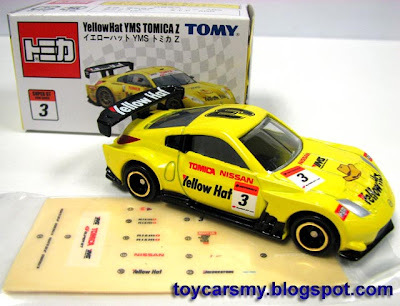 You can't missed this if you collecting Super GT cars, it slightly bigger than other Tomica models.